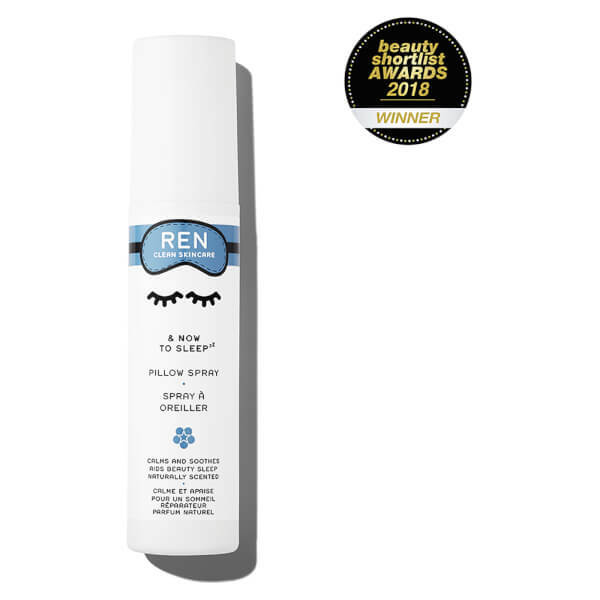 Drift into a relaxing slumber with REN's '& Now to Sleep' Pillow Spray, a calming mist that blends a cocktail of unique essential oils to aid a good night's sleep. Utilising ingredients that have been used since ancient times to help relax and reduce anxiety, the mist contains Frankincense to put your mind at rest, Hops to calm and relax, and Lavender to help alleviate anxious feelings. Promoting natural sleep and a healthy sleeping pattern, the deeply restful formula will help to calm and soothe your mind, relieving inner tension and stress so you achieve a sense of calm and wellbeing. Enjoy its natural perfume as you slip into a peaceful night's sleep. Spray onto pillow before going to bed. Let your mind be calmed. Close your eyes. Aqua (Water), Polyglyceryl-4 Caprate, Propanediol, Parfum* (Fragrance), Juniperus Mexicana (Cedarwood) Oil, Boswellia Carterii (Frankincense) Oil, Lavandula Angustifolia Oil, Pelargonium Graveolens Oil, Cananga Odorata Macrophylla (Ylang Ylang) Flower Extract, Humulus Lupulus Oil, Sodium Benzoate, Potassium Sorbate, Lactic Acid, Benzyl Benzoate, Citral, Citronellol, Geraniol, Limonene, Linalool. *100% Natural Fragrance.